Ms Cherry HUI was admitted to practice as a Barrister of Hong Kong High Court in 1999. In her private practice, she was involved in a wide variety of criminal cases. Cherry has taught Company Law, Commercial Law, Land Law, Legal Issues in Nursing, Criminal Law and Trial Advocacy at different institutions, e.g. 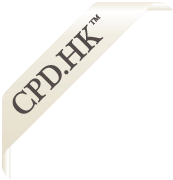 the Chinese University of Hong Kong, City University of Hong Kong, Hong Kong Baptist University, Lingnan University, Hong Kong Institute of Vocational Education and the Hong Kong Management Association, for over ten years. She has been a speaker on different legal issues at the Hong Kong Trade Development Council and Hong Kong Productivity Council. She has also participated in different continuing legal education events as a speaker in criminal procedure. In 2008, Cherry started an entirely new role when she was appointed as a Deputy Special Magistrate. This gave her the opportunity to gain valuable experience, and from 2011 she was appointed as a Deputy Magistrate. Cherry successfully handled thousands of court cases as a Deputy Judicial Officer until she finished that appointment in November 2014 and resumed her practice. The experience gained will definitely be beneficial to her coming challenges. Sentencing is the act of determining a suitable punishment after someone has admitted guilt, or been found guilty, of a crime. The result is that sentencing can seem very confusing, and it is often difficult to determine why one person was punished harshly, while another is given apparent leniency in their sentencing. Purpose of the meeting - to share her experiences and problems with the aim of improving our technical skills. How is sentencing worked out? What are aggravating and mitigating factors? 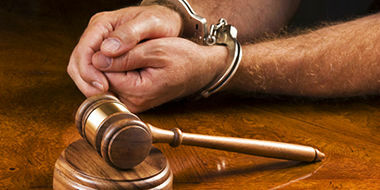 What types of penalties are there for committing a criminal offence?